Peonies are in bloom and the sangria is flowing. Summer may not be officially here, but we can’t help it if we’re constantly thinking ahead. In preparation, we made a checklist of the timeless summer items that are always in style. Scroll through to make sure your closet is stocked for the season. 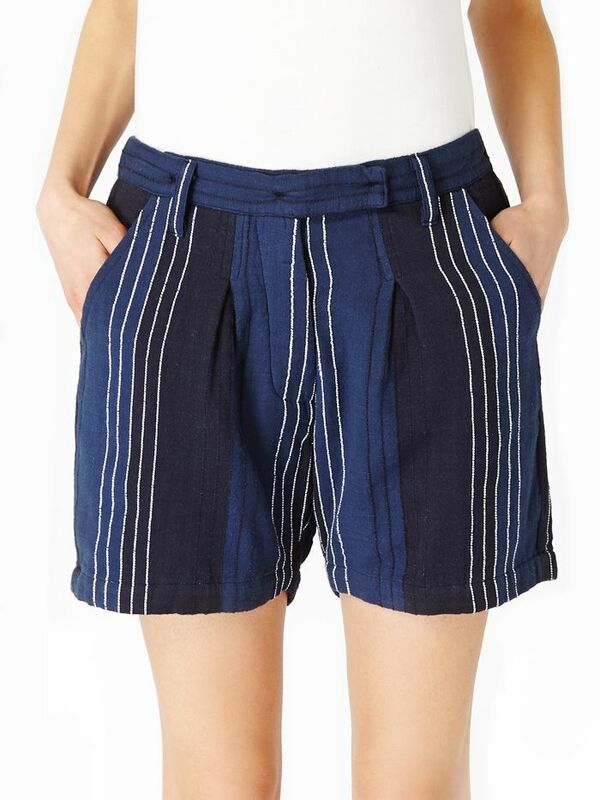 Summer was made for striped linen shorts. The gold-tipped ankle straps on these sandals are quite an adorable touch. Cat-eye and totally classic, what’s not love about these sunglasses? Between the cherry red color and zig-zag cut-outs, this new take on the bandeau bikini is begging for a bold debut. It’s time to ditch that black bag for the season, in favor of a lighter neutral version, like this snakeskin stunner. Replace your wool fedora with a summery straw version. Lately, we’re all about a boater shape. A tie-front top is a summer staple; this sleeveless chambray version is utterly classic. Why do we love rompers? Three words: one and done. Simple collared dresses are always in style, and this printed frock encompasses easy dressing at its best. Are you summer-ready? Which of these is missing from your closet? Let us know in the comments below!